A recovering drug-user has been given a chance by a court to turn her life around despite admitting to five thefts. 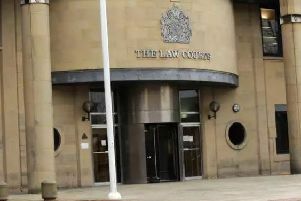 Sophie Pirie, 33, of Birchen Close, Chesterfield, stole perfume products from a Wilkinson store, in Chesterfield, according to Chesterfield magistrates’ court, and also stole goods from a One Stop, a WH Smith and a Primark. Prosecuting solicitor Becky Allsop told the hearing on Tuesday, December 8: “CCTV showed Pirie standing around the perfume items and when she was seen later there were five items missing from the stand. “She was interviewed after being identified and she admitted the theft but said she had stolen two items and not five. “She sold stolen aftershave for her and partner because they had no benefits and had no money. There should be £34 compensation for these goods. Pirie pleaded guilty to the theft which was committed in June and she also admitted four later thefts committed in October including two at One Stop, and one at WH Smith and one at Primark. The defendant, who has a previous record with 16 theft matters, asked for the additional four thefts from October to be taken into consideration during sentencing. Defence solicitor John Wilford said: “The theft from Wilkinsons in June was when there was an issue with the defendant and her partner and she stole items. “The four offences in October were because of a drug debt which caught up with her. “There was a period where she had problems with drugs and these offences in October were related to that but that has gone away now. Magistrates stated that they were “extremely happy” to hear Pirie was making progress. They sentenced her to a six-month community order with a six-day Rehabilitation Activity Requirement. She was also ordered to pay £229 compensation in relation to all the thefts and she must pay £85 costs, a £60 victim surcharge and a £150 courts charge.